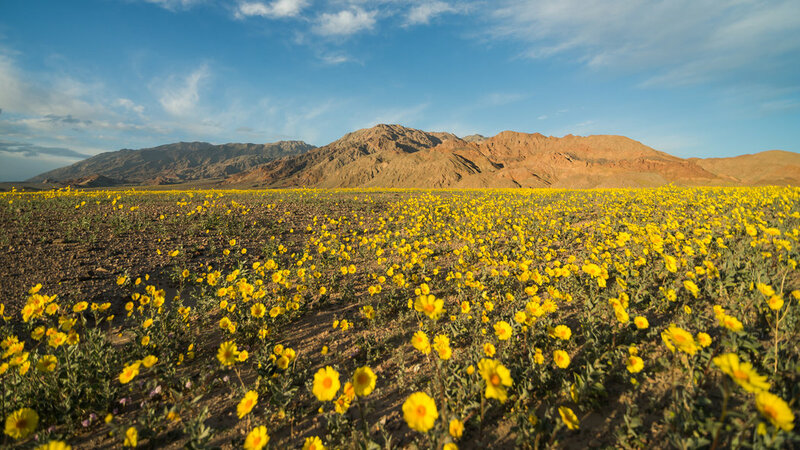 "Death Valley Superbloom" has a nice ring to it. This is what happens when it rains a lot. 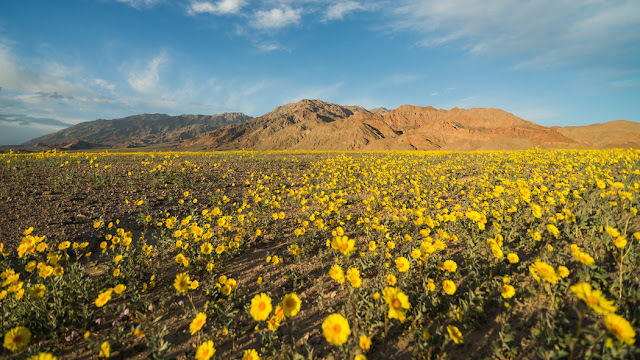 Flowers will eventually grow in the most unlikely of places.